Nowadays proper waste management is more accessible than ever! Before you had to go out of your way ( and who wanted to do that daily?) to properly dispose of the household waste. Now it is easy, extremely beneficial for the environment and even can be fun and rewarding, especially for kids! Fun and rewarding, we hear your eyebrows raising in question (we’re cool like that), how can i make the process of waste management for kids fun and rewarding? Before we take a look at those questions we must look over the most common types of waste a household can produce – post-consumer waste, household hazardous waste and electronic waste(e-waste). Without going into details post-consumer waste is mostly packages and leftovers, househould hazardous waste encompasses toxic or flammable waste(oil cans, fuel etc.) and e-waste is computer parts and electronics.So that’s all good but what about recycling? Again, without going into details, recycling is the process of making rubbish into reusable objects. The main goal of that is to minimize resource lost, pollution, conserve energy and reduce greenhouse gases. Some countries recycle more than UK – Switzerland and Germany recycle around 60% of their waste. 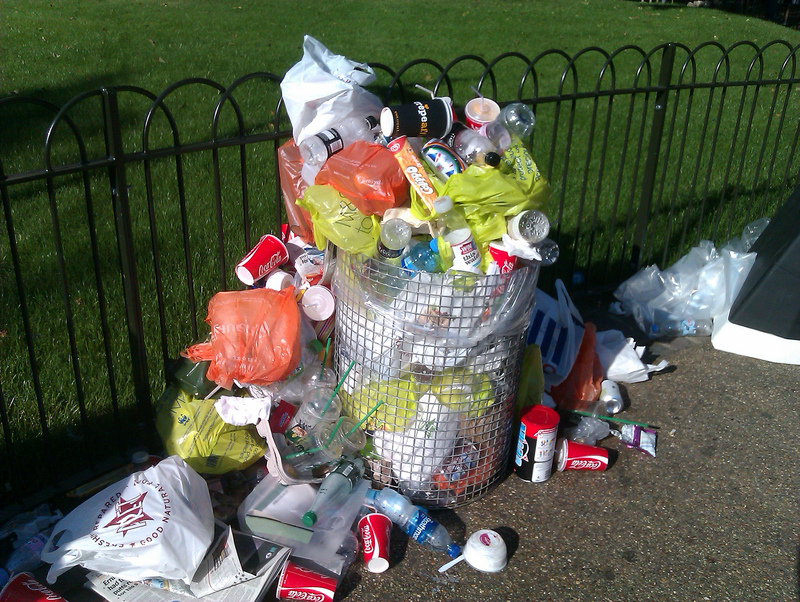 Most of the waste out in the dustbin (around 70%) can actually be recycled in some way and be used again. Waste management for kids – the good, the cute and the ugly. Organizing refuse for recycling at home can be a daunting task at first, but don’t worry – there are plenty of easy to access sites all over the internet to be your guide in this endeavour. An informative site will contain a comprehensive list of everything that can be recycled – glass,batteries, furniture, paper, plastic etc. Some sites even provide a good reference where to find recycling banks in your area. A great source we found (for the UK) is located here. We’ve tested it and it works great. Waste management for kids – how to explain, teach and engage. All is well and good – but how do you make your child take on organizing waste and recycling regularly? Imagine you’re in their place – what would you like an activity to contain ? If you answered fun, then you’d be right! The best way of learning and implementing healthy habits into the lives of our children is to make it fun to do so! So how do you make recycling and proper waste management for kids a fun and rewarding task for your child? Make something creative! The best and most interesting way by far is to create something out of rubbish that has already outlived his usefulness. There are many great ideas floating around the internet of how to do that, but if you’re impatient to start right away here’s an idea for the little explorers : Eggshell Seed Starters. Sо you have an idea to engage your kid but how to explain the act of organizing and what recycling actually is? One of the best ways is to play off their wild, untamed imagination – convey to them that each object created has a story of its own. A story of daring adventures, perilous journeys and that they need your children’s help – the toilet roll is out of paper ? It needs wings so he can continue his adventures across the realm! The best thing about that way of presenting is that it provokes not only your children but also you to think creatively and it’s also a great deal of fun! When the object is due for recycling make a little game (after explaining the types of recyclable waste to your child) of “Guess where this goes?” and say goodbye to the brave hero which departs to continue his path! Of course – there are many different types of children – maybe crafting is not the that interesting to your kid? Try a more pragmatic approach – try organizing waste together with them. 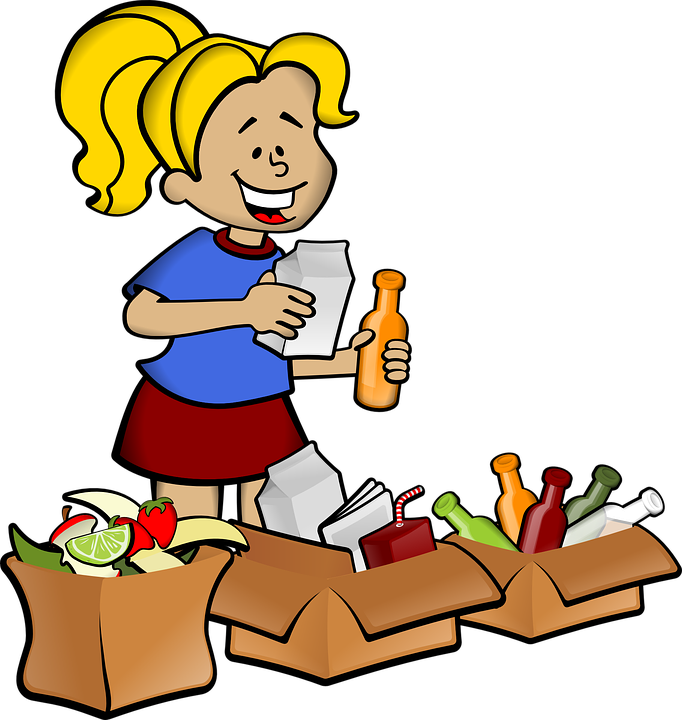 Maybe the child enjoys when everything is neat and organized – a big part of recycling. The main goal is for the child to understand what the basic process of recycling is and where it starts – with them. This way a healthy habit is born within the child that can thrive and bring hours upon hours of fun activities while being environmentally friendly. The possibilities are only limited by your imagination. Try out new things, experiment and see what work and what doesn’t. Note: Do not forget that safety is always first! Dangerous refuse must be out of reach and be disposed of and recycled as soon as possible! So what about waste management for kids in school? A great source of inspiration as well as support, is Wastebusters. Wastebusters contains resources for both kids and teachers to utilize to raise awareness for recycling and greengoing. Chock-full of creative ideas on reusing, recycling and properly managing resources to improve our lives and be happy. Your kid can even get some rewards if he is inclined to partner with Wasterbusters! While Wastebusters provides a great incentive for your child and the whole school to go green, maybe there’s a reason that Wastebusters can’t help you out? Do not fret – Wastebusters is only a medium to help you out, but not the only resort you can seek out. The best, always available organization to help you is you! That’s right – every organization has started that way. That doesn’t mean you have to start one just so you can engage your child and school in recycling. You’d be surprised how a single organized green awareness day can help out in helping out the young to better understand recycling. Be the parent who will go in a class one day and, through fun activities, will inform kids on recycling and how it protects and improves their surroundings and help keep the planet clean. Maybe if the kids enjoy it you can talk with the teachers to actually craft something from the ideas you’ve devised. Maybe a group project! This will help children cooperate with one another and work on something that everyone contributed for. This entry was posted in "Waste Management" on Tuesday, March 28th, 2017 by 24/7 Waste Removal. These are some great ways to get kids to learn about waste management – and some things they can do already to help. Thanks for sharing these ideas! I love this blog. It gives the nice tips for waste management for kids. How to maintain the waste on regular basis? Many wonderful ideas are shared here, so this post is very great especially for house owners. Thanks for sharing.